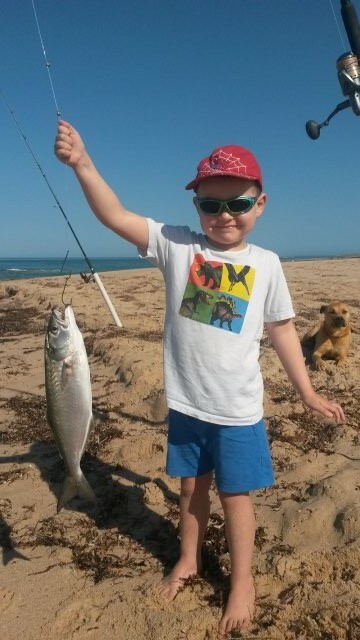 Had a few days away up north and had a fish with my little bloke, all I did was balance the rod while he lift and wound. He was doing cartwheels after this. Definitely a chip off the old block. Nice taylor. Taste great fresh. Looks like he has the bug mate, life time of the good stuff ahead of him. Your son seems to have grown heaps, the last time I saw him! How old is he now, 5? Yeah he's a solid 5 now. Great to see the smile on his face mate! Great first Tailor!